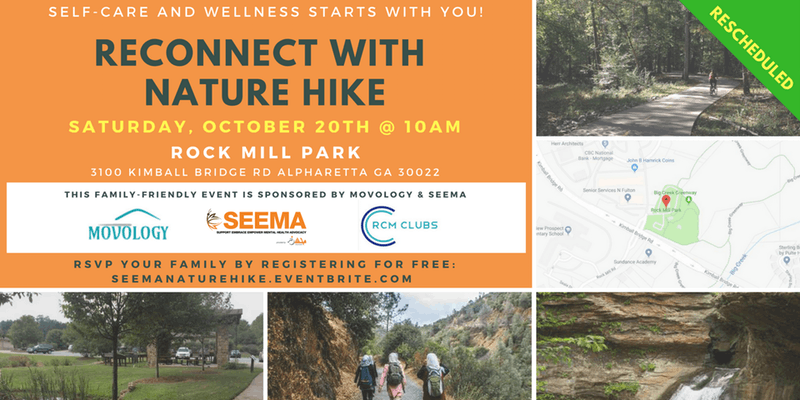 RCM Club, SEEMA, has collaborated with Movology Fitness to provide family and friends a "Reconnect with Nature" Hike. This is a great opportunity to provide self-care and wellness for oneself. You will be greeted by an energetic team that will lead you through the easy hiking trail while also demonstrating how to reconnect with nature by simple walking meditation. Make sure to dress appropriately to the weather. Cool clothing, comfortable hiking shoes, water bottle, and snacks. Meet at 9:45am to start hiking at 10:00am sharp! **Note: Due to inclement weather, we will post updates/cancellation of the hike on the Facebook invite and Whatsapp group. Who all can come to this event? This event is family friendly. The trail is also stroller friendly. Bring your comfortable shoes, water bottles, and snacks/lunch.